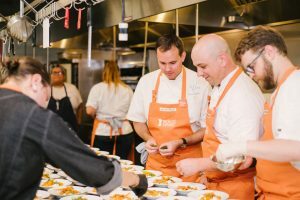 Join us for a special multi-course dinner with Host Chef Matthew McClure in support of No Kid Hungry’s work to end childhood hunger in Arkansas. One in four kids in Arkansas struggles with hunger, but you can make a difference by joining us on June 4. Guests will enjoy a cocktail reception, multi-course seated dinner, and live auction. + Get tickets today online!